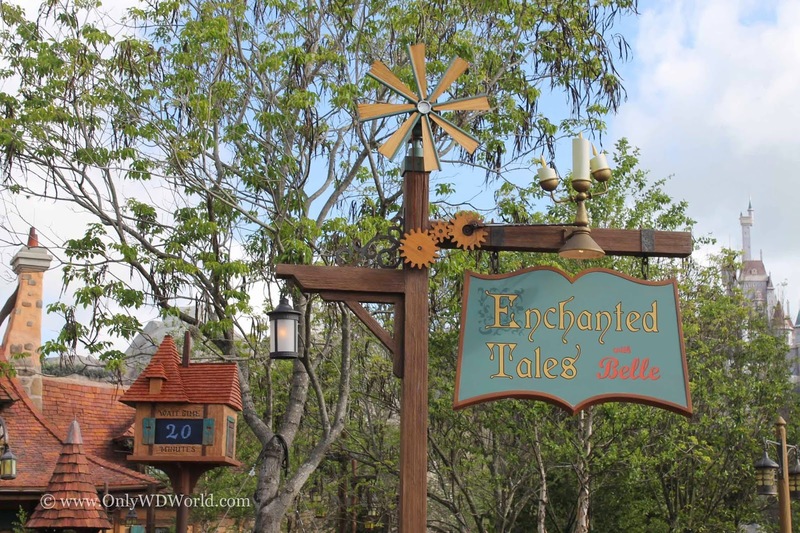 The best of the new attractions in the Fantasyland Expansion of the Magic Kingdom in Disney World is called Enchanted Tales With Belle. I was quickly won over by this charming interactive attraction that I was expecting to not like, thinking it was solely for Princess loving young girls. 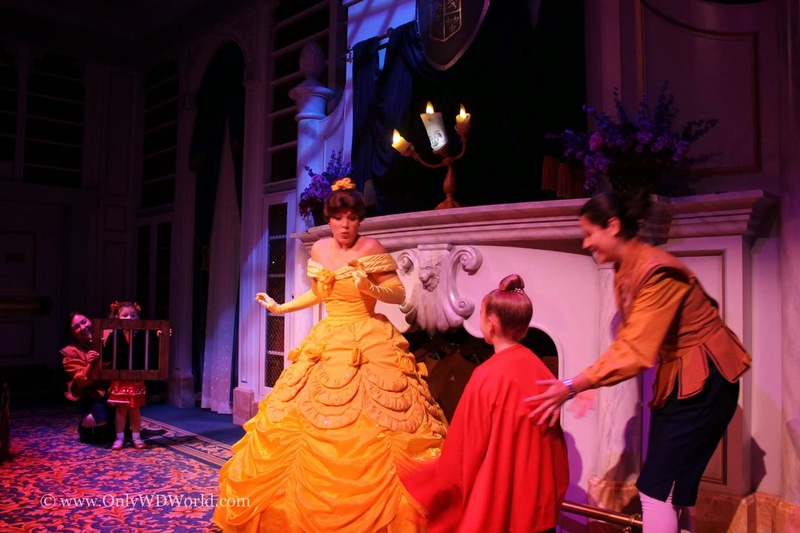 The Disney Imagineers are first and foremost storytellers and Enchanted Tales With Belle is a detail laden, interactive adventure that let's the audience become part of the story. Although it is geared towards the younger guests, fans of all ages will enjoy it. 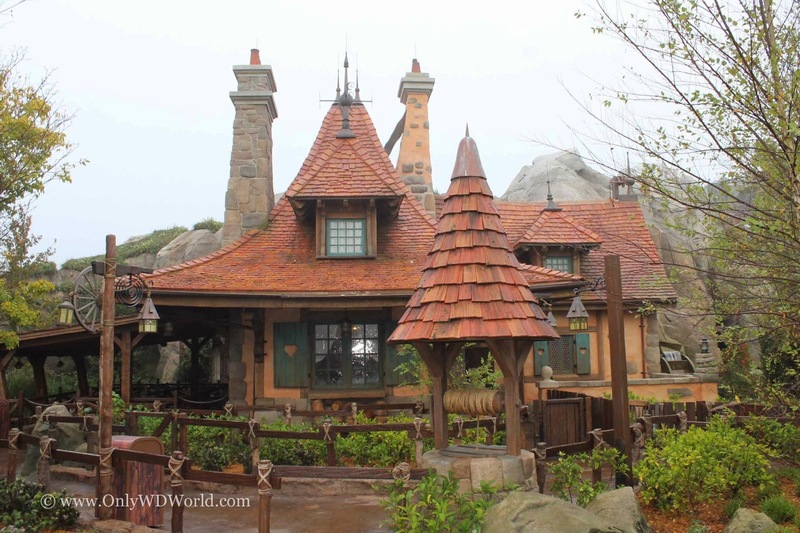 It all starts with Maurice's Cottage where the attraction is held and the surrounding landscaping. It is amazing. 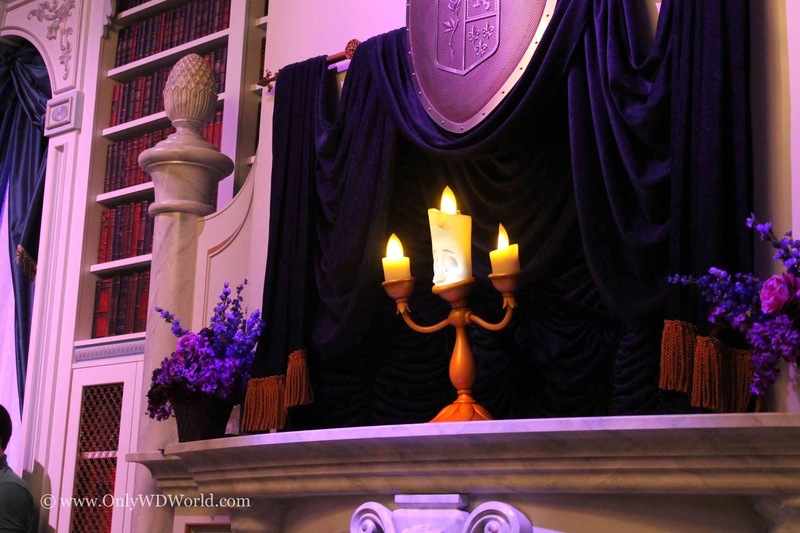 The Magic Kingdom receives a level of detail that is not seen elsewhere through the theme park. Everywhere you look are little details that tell part of the story of Belle. Once inside the cottage, you find a number of artifacts that point to when Belle was a young girl growing up. 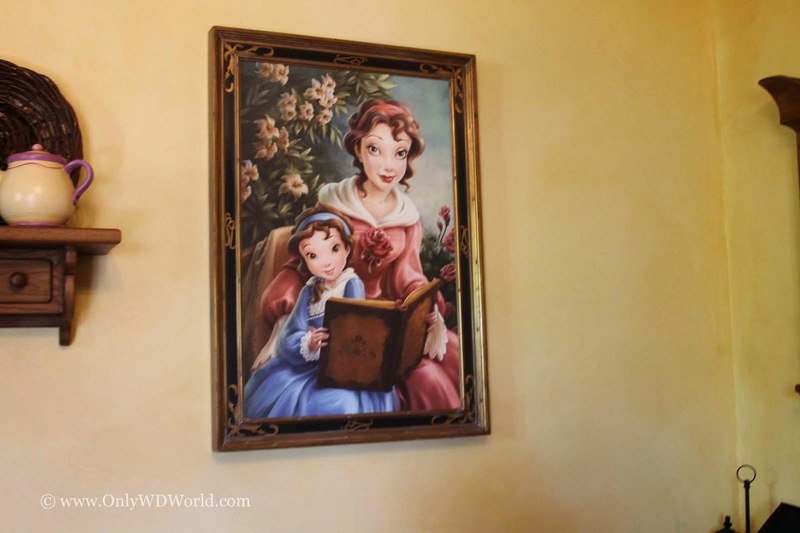 Of particular interest is the large portrait of young Belle reading a book with her mother. 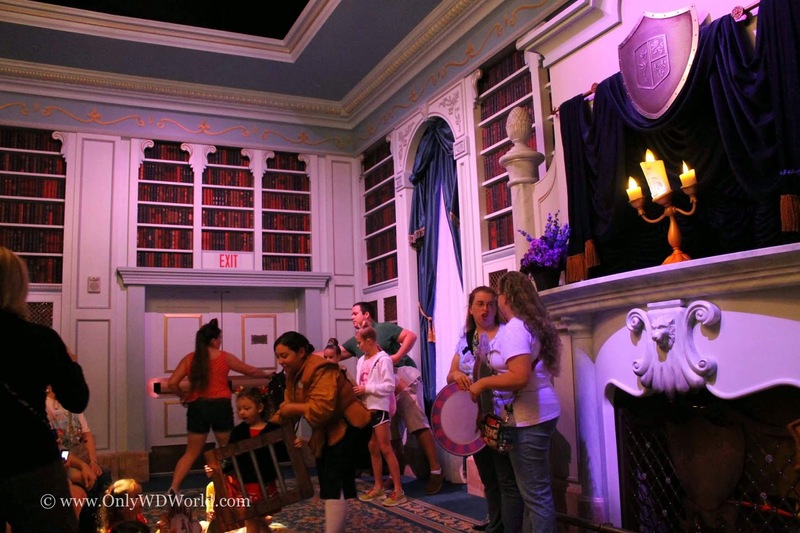 This room forms the transition from Attraction Queue to the start of the adventure. 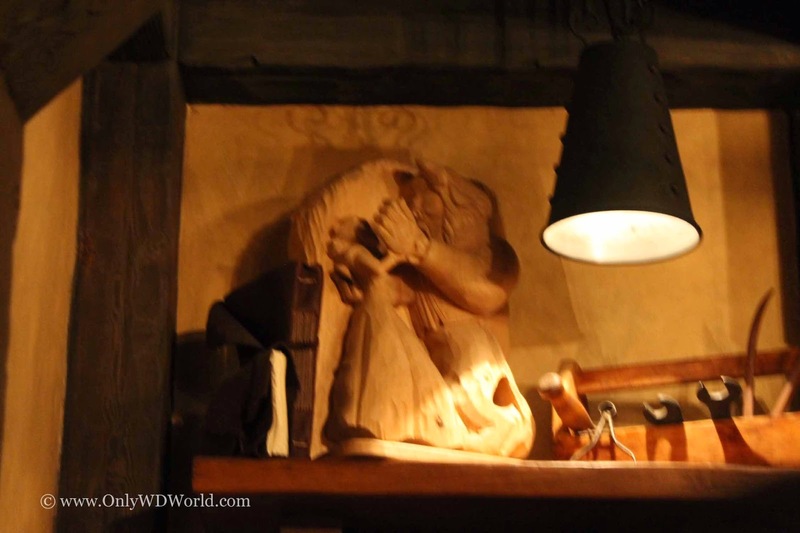 We spotted this great detail of a craving of Belle and the Beast on a shelf. 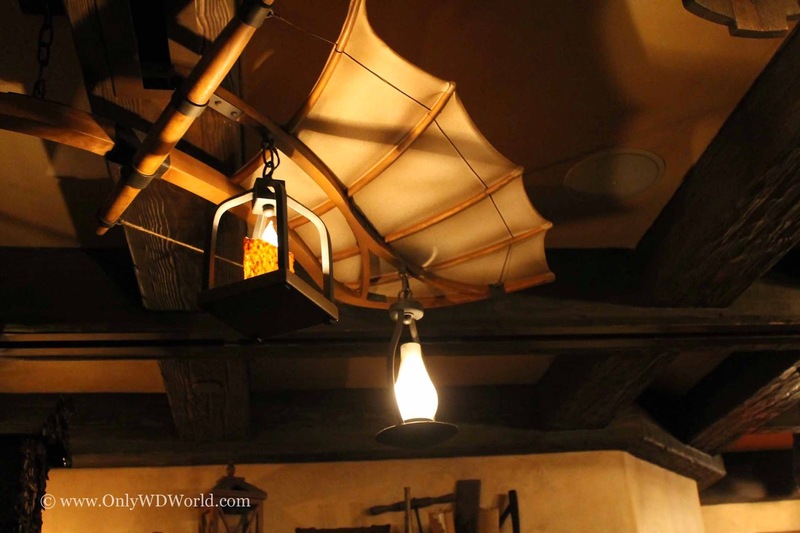 The attraction begins as you enter a room that is part of Maurice's Woodshop with the rest of the group. Approximately 30 people go in at a time. After everyone is inside, what appears to be an ordinary mirror, helps start the attraction. The mirror opens into a door and now you enter Beast's Castle to find a giant wardrobe. You soon discover that this wardrobe is enchanted and it starts to talk and address the group. 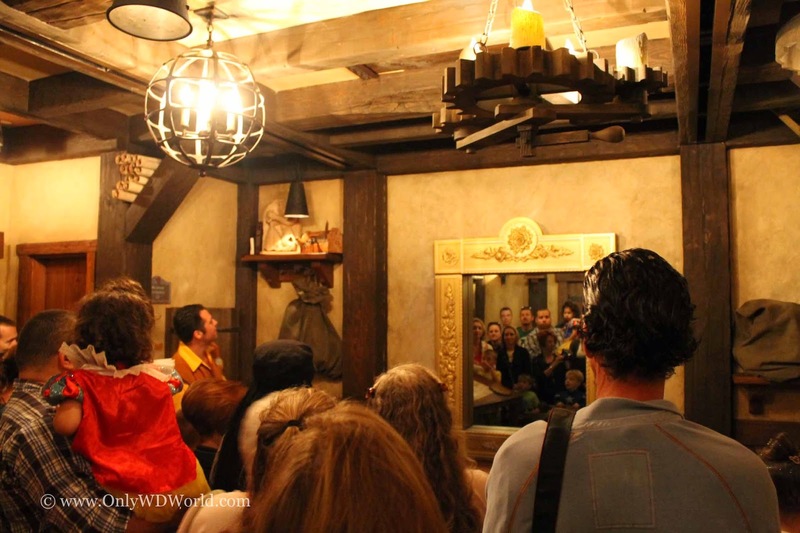 The cast member opens the wardrobe and passes out props to allow guests to become part of a special production. After the rehearsal is complete it is time to proceed to the library for a special performance. 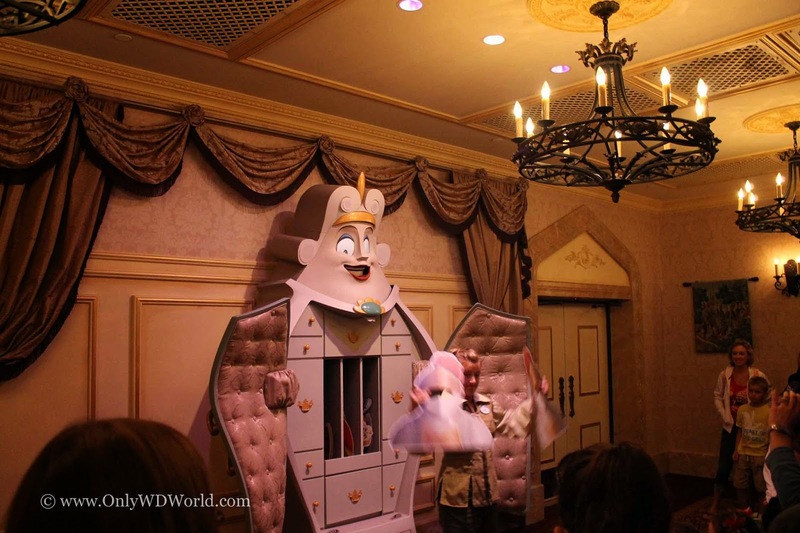 Inside you discover Lumiere who helps prepare you for a surprise. The cast members help direct everyone to their positions. There are benches for the audience to sit on and the performers go to their places. The great thing about this attraction is that everyone who wants to be part of the performance can participate, but those who do not, can just be part of the audience. Now it is time for Belle to arrive. She greets the guests and then the performance begins. 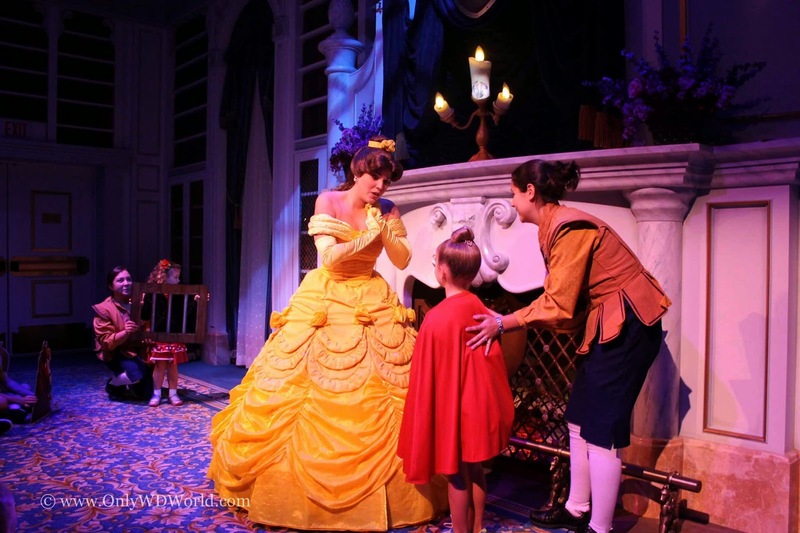 It does not last long, but everyone that is part of the performance gets to meet Belle at the end and have a picture taken with her. Different Kind Of Attraction Is A Winner! 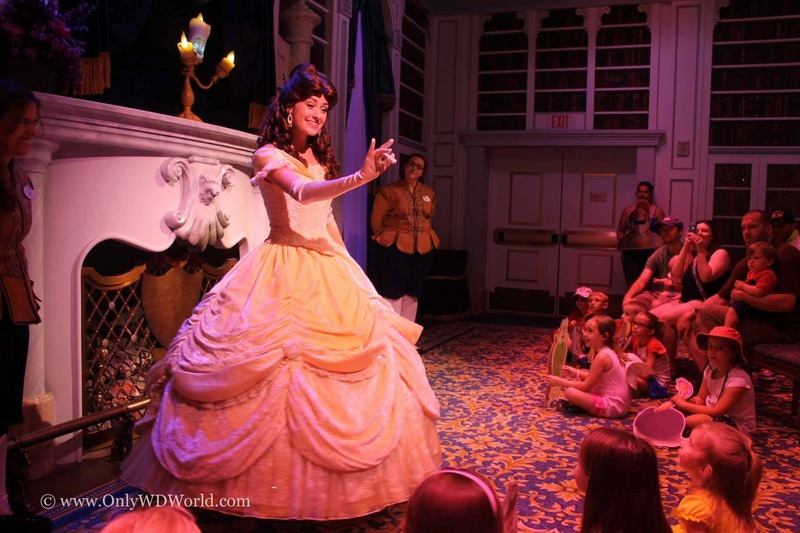 Enchanted Tales with Belle is unlike any other Disney World attraction and that is part of what makes it special. It is well done and judging from the smiles on faces of the guests, I was not the only one that enjoyed it. Aside from the cute story, the fact that this attraction is interactive and allow for guest participation on a large scale makes it a must do for families and Disney fans of all ages. The last part that makes this attraction great is the attention to detail. After multiple visits so far, I am still catching little details throughout the inside and outside of the attraction. This is what will appeal the most to the diehard fans, that aspect of storytelling that you can only get from Disney. 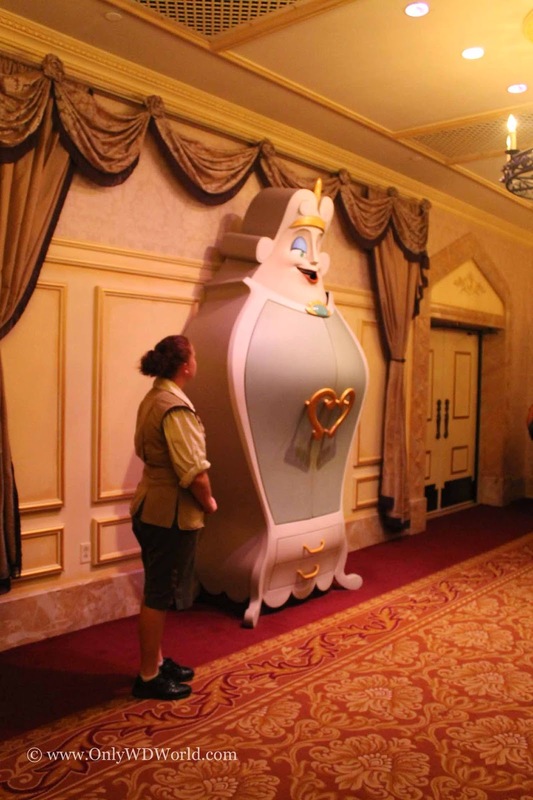 0 comments to "Enchanted Tales With Belle At The Magic Kingdom"